VGI owns 20% equity in Added Value Engineering Consultants (AVEC). AVEC delivers a range of services to the oil & gas, hydrocarbons, petrochemical, minerals & metals, general chemical and other industries that are tailored to meet individual client requirements. AVEC’s highly qualified engineers have experience in a great number of industries, ranging from hydrocarbons to metallurgical processes and food production & processing. 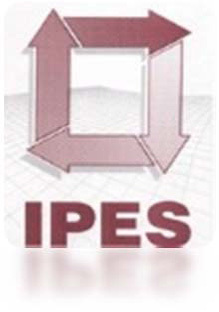 IPES provides professional engineering services in the electrical and control & instrumentation field. Their design services include pressure instrumentation, temperature instrumentation, orifice plate flow calculations, valve sizing and calculations, supervisory control and data acquisition systems, radio based telemetry networks, satellite based remote monitoring solutions, fibre-optic communication systems and networks, emergency generators and UPS’s. IPES has been involved with various control and Instrumentation installations in South Africa. The responsibility of IPES included SCADA basic design, distributed control system topology and design, radio frequency propagation analysis, hazardous area classification, flow calculations, intrinsic safe calculation sheets, loop drawings and diagrams, human machine interface definition and reliability and availability calculations. CTC consults in the fields of Cathodic Protection, Pipeline Integrity Management and Coating Consultancy. CTC’s services include Soil Corrositivity Surveys, Stray Current Surveys, Current Drainage Surveys, DCVG and Pipeline Current Mapping (PCM) Surveys. In addition to the field work, are all aspects relating to the Conceptual and Final Design, Mathematical Modelling of CP Systems, the Preparation, Issuing and Adjudication of Cathodic Protection and Pipeline Protective Coating System Tender documents. The Project Management and/or the Inspection of Cathodic Protection Installations and Protective Coating applications. AAM Geomatics provides land surveying services for the route selection, profiling, setting out and as-built of pipelines, power lines, roads, sewer lines and railway lines. AAM also execute bathymetric surveys and the full spectrum of GIS services including data capture, consulting, training of personnel, setting up of GIS systems.